Sophia University has approximately 140,000 alumni; 3,000 students graduate every year. The Sophia University Alumni Association (SUAA or "Sophia-kai" in Japanese) promotes friendship among Sophia's alumni and contributes to Sophia University's developing, setting and accomplishing further goals. One of our focuses is branding. Enhancing the reputation of Sophia University enhances both the alma mater and SUAA. The Association works to develop global network providing opportunities for the alumni to cooperate as Sophians and participate in SUAA activities. This involves three tasks. We need a concrete vision of the future of SUAA, how it should operate and what it should aim at. Secondly, SUAA must enhance its support of Sophia University in such projects as being selected by the ministry of education (MEXT) as one of its ‘Top Global Universities' in its Top Global University Project. To do this, SUAA must extend the Sophian network world-wide, linking regional, occupational and functional SUAA communities. SUAA activities bring life to the Catholic philosophy of Sophia University reflected in the Jesuit educational ideal of "Men and Women for Others, with Others". It seeks to create interactions, bringing Sophians together regardless of differences in language, race or belief. To achieve these goals, SUAA always keeps its doors wide open to Sophians whenever, wherever and however they are. What is the Sophia University Alumni Association (SUAA or "Sophia-kai" in Japanese)? SUAA is the association of the alumni of four schools of the Sophia School Corporation: Sophia University, Sophia University Junior College Division, Sophia School of Social Welfare and Seibo Nursing School since the Seibo School Corporation merged with Sophia's in April 2011. It also considers current students of Sophia University as Associate Members. Those who studied in a Sophia school but did not receive diplomas can also become members by submitting a request with the recommendations of five Regular Members. The total number of SUAA members was 130,000 in April 2015. Under its umbrella come SUAA organizations of regions, clubs, circles, classes, seminars, professions, businesses or industries. The SUAA has expanded its activities to cooperate with them. It also established SUAAs for faculties and departments in 2013 and started collaboration among groups. There were 287 registered groups in the SUAA in May 2015. The SUAA has always been engaged in "making SUAA appropriate and open to its members". The last general meeting in 2008 updated SUAA norms, revised its bylaws and established the Conference of National Representatives as the highest decision-making body replacing the general meeting. 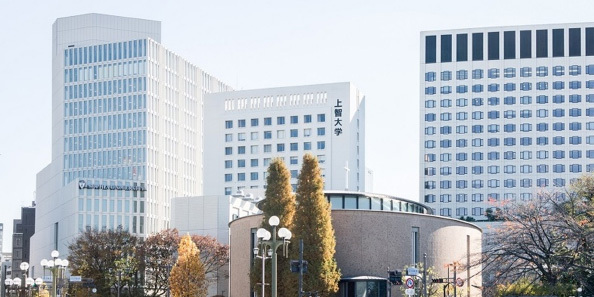 Regional SUAA National Conferences started with Kyushu in 2009, followed by Kansai, Yamanashi and Hokkaido, leading to the successful expansion of the Tokyo Conference, followed by Niigata (2014), Hiroshima (2015), Sendai (2016) and Nagoya (2017). Meanwhile, through the celebration of the 100th anniversary of Sophia University in 2013, the SUAA has been committed to various commemorative projects and fundraising in cooperation with Sophia University. As a result, the alumni have been able to make donations that have exceeded 1.2 billion yen in total. Semi-monthly e-mail news is also distributed to more than 350,000 subscribers. In line with Sophia University's approach to globalization, the e-mail news is also partially translated into English since March 2013. Concurrently, the SUAA website was renewed in 2011 and the news is updated about fifty times a month. The titles of the news are republished on SUAA's Facebook page (more than 6,500 members) and gaining more than 40,000 hits a month. The SUAA was officially founded in 1937 by graduates of Sophia University. The list below shows notable events that took place. Official foundation of Sophia University, permitted for higher education by the Meiji Government (under the act Sen-mon Gakko Rei). First graduation ceremony with nine graduates. First alumni meeting held on 16th November in the garden within the campus. Foundation of the Sophia Students Association. Publication of Sophia, the journal of Sophia Students Association on 5th April. Announcement of the Sophia Alumni Association as the official name in the alumni newsletter issued in October. SUAA organized by the graduates. Publication of the Sophia Alumni Association News (currently titled Sophians Now) in February. First general meeting of the SUAA at the old Marunouchi Building on 1st December. Fr. 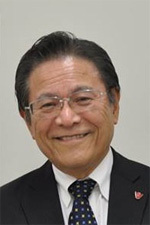 Hermann Heuvers, S.J., the second president of the university was elected as the first chancellor, and Mr. Michisuke Nishimura (Faculty of Commerce, graduated 1918) secretary general and the first president. The Tokyo Sophia Club (current "Sophians Club") opened in a Quonset hut on 30th August. General meeting of National SUAA held in the auditorium of the 1st Building on 3rd November. Donation collected from the graduates to fund SUAA. Office of the alumni association (currently called the SUAA office) opened on the 2nd Floor of the old Sophia House. The Sophia News, originally titled the Sophia Alumni Association News, started as a quarterly publication. Mirai-ni Mukatte (Looking to the Future) published by the alumni association for the 60th anniversary of Sophia University. The first All Sopihians' Festival (ASF) held in the garden of S. J. House on 18th May. The SUAA office moved to the 1st Floor of the 3rd Building and was renamed the Sophia Alumni Association Office. The Golden, Silver and Bronze Anniversary Celebrations started at the ASF on 31st May. Publication of Sophian's Now started. Issuance of Sophians Card (credit card) started. Sophian's Club opened in the Sophia Hall Annex facing Shinjuku Dori. Over 4,000 people visited ASF. SUAA Contribution Course started to contribute to our alma mater. 100th monthly lecture at the Sophian's Club held on 2nd December. The commemorative lecture "What is Sophia?" was given by Archbishop Joseph Pittau, S.J. SUAA's Fundraising Committee was founded for the 100th anniversary of university. SUAA office started in the form of several committees. Stay in touch with the SUAA communities. New groups of SUAA, established at the time of the 100th anniversary of Sophia University in 2013, aim to build strong ties among alumni, students and professors. There are more than 271 SUAA chapters throughout the world. There are SUAAs of club activities, business and workplace groups. Stay connected and find out more with the following links. Please submit your contact information using the form in the URL below. If you would like to subscribe to the bi-monthly email news, please use the same form for registration.